After completing my vocational training, I qualified in Poland in 2000. I then spent nine years working as an associate dentist in both NHS and private practices in Kent. During this time I have gained valuable experience and furthered my skills as a clinician and a trainer of young dentists. I pride myself on providing excellent quality treatment for my patients. 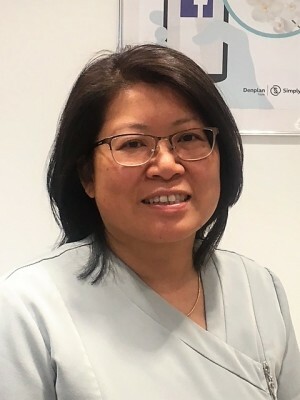 As I wanted to further my knowledge in Restorative and Cosmetic dentistry and improve my clinical skills, I then started Postgraduate Study at Warwick Medical School - MSc in Restorative Dentistry. In 2012 I was awarded a Certificate In Restorative Dentistry. I am delighted to own my practice here in Braunton. My free time I love spending with my wonderful son and my husband. We like going for long walks, cycling and travelling. I like reading crime stories and thriller books. After studying at The London Hospital, I started practicing dentistry in Colchester, Essex, moving to Norfolk briefly before settling in North Devon in 1998. I then joined Caen Dental Practice in 2012. I qualified as a Dental Hygienist in 1993, whilst serving in the Royal Army Dental Corps. I moved to North Devon in 2004 with my family. I have three children. I enjoy the beaches of North Devon and fundraising with the Bideford and District Sea Cadets. I qualified as a Dental Nurse in 2011 through the NEBDN. I love my job and am always keen to further my skills and progress. In the Autumn of 2016, I was lucky enough to join the team here at Caen Dental Practice. These days you will mostly find me on reception in a more administrative role. Outside of work I love my holidays abroad, shows, concerts and socialising with my partner, family and friends. I have been Dental Nursing for over 7 years. 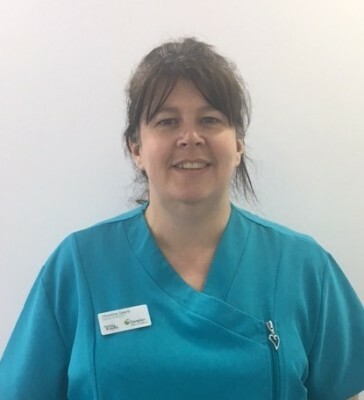 I enjoy the varied work involved with my job and have recently joined the team at Caen Dental Practice after relocating to Devon from Manchester. Outside of work, I enjoy playing the piano, spending time at the beach and generally spending time outdoors with my children. 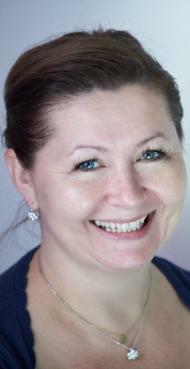 I have been Dental Nursing for over 5 years now, both here in the UK and in New Zealand. 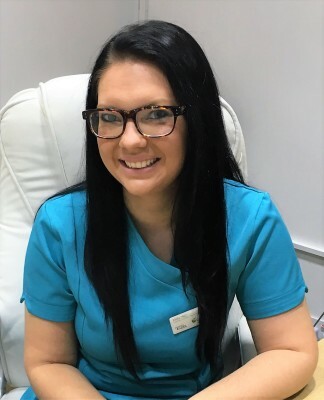 I have worked mostly within the NHS but recently took the opportunity to further my knowledge and experience in private dentistry by joining the team here at Caen Dental Practice. Outside of work I enjoy travelling, eating out, socialising and generally making memories with my family, friends and partner.